Choose your Letterhead Size Please select...8.5x11 (Standard)8.5x14 (Legal)The size I need isn't on this list. Reference your order number or reply to the automated receipt that is sent to your inbox (remember to check spam for receipt). Note: if your order includes multiple products, please clearly indicate which pieces of art are assigned to each product. 70lb Smooth Text provides a heavier than normal paper type that uses a smooth finish to ensure colors turn out bright and pure rather than cloudy, giving your stationary real weight. 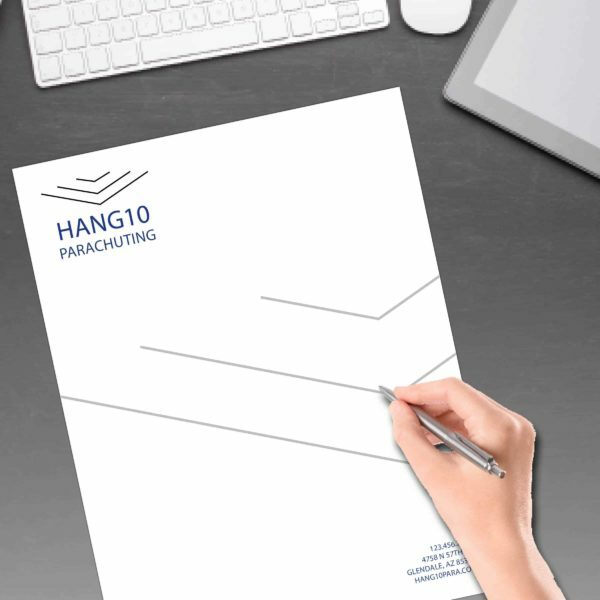 100lb Smooth Cardstock is the best choice for a more kraft and organic feel without sacrificing color and image quality. It is a Medium/Heavy cardstock and is sure to impress! Be aware that Dark Colors will appear splotchy or muddled on these paper since it is not coated enough to prevent ink absorption. It is best to avoid this paper if your artwork has heavy coverage of dark colors. Attach your artwork files to your product order before adding to cart. The accepted file types end in .pdf, .png, or .jpg. PDFs produce the best results. Uploading files other than PDFs may lead to your job being postponed or declined. Email must reference the order ID#. If there are multiple products in an order you must clearly indicate which is which. Maximum email message size must be less than 20 megabytes. *Note: Your artwork must be up to print specifications to be printed. If you have had this artwork printed before by another print provider please do not assume that it will print properly. Other printing services or designers may not provide you with print-ready files despite charging for design services or printing the product for you. If you are not sure whether or not your artwork is ready to print please request an Artwork Audit on the product page A professional graphic artist or pre-press technician will contact you with the results of the audit within 24 hours (though we try to be as quick as 4-8 hours). Let us know if you need faster service and we will do our best to accommodate you. [/vc_column_text][/qode_accordion_tab][qode_accordion_tab title=”Shipping Information” title_tag=”h6″][vc_column_text]Shipping for this product is done with Priority Mail Parcels by the United States Postal Service, or via local delivery for some addresses in Phoenix, AZ and surrounding areas. Most addresses in Phoenix and the surrounding areas can expect shipping times of 1 day. Customers in other States can expect shipping times of 2 days or more. 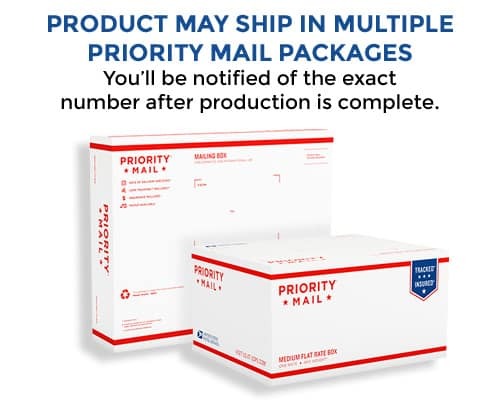 Please refer to the shipping times link below for a delivery time map for Priority Mail.